Since older emulators are unlikely to run on current operating systems they have been removed from this page. If you are new to TRS-80 emulation I have an (older) guide to basic Emulator use. Visit this page for DOS/Windows and this page for Linux. Full Windows application – no low-level hardware conflicts! trs80gp emulates the “gray” line of TRS-80 computers made by Tandy in the late 1970s and early 1980s. They are known as the Model I, Model II, Model III, Model 4, Model 4P and Model 4D. It is generally easier to refer to them as the Model 1, Model 2, Model 3 and Model 4. The Model 1, 3 and 4 are a line of compatible computers. The Model 2 has its own line of compatibles including the Model 12, 16 and 6000 which are not yet emulated by trs80gp. The emulator runs under Windows 10 and probably works on Windows 8, 7, Vista or XP. I’ve also heard it runs fine on OSX and Linux machines using Wine. It should run well on any machine produced in the past 7 or 8 years. trs80gp provides accurate and near complete emulation with excellent programmer support. The source code is fully organic and hand-crafted by myself and my brother Peter. Emulates floppy disk, cassette, hires graphics, orchestra 80 and printer. Window scalable to any size with realistic phosphor-dot rendering. Near perfect video emulation including beam drop-outs, wait states and various other subtle effects. Can visually indicate Z-80 video memory conflicts. Cycle perfect sub-instruction Z-80 and video timing. Built-in Z-80 debugger with source level debugging using zmac .bds output. Switchable turbo mode for high speed yet still accurate operation. Auto-turbo modes to go fast during slow operations (e.g., disk, cassette) and back to normal when typing. AVI and FLV (Flash) video capture. GIF and animated GIF screenshot capture. Audio capture to WAV file. Load programs directly from command line for fast development and testing. Can both “paste” and send files as input to keyboard (aka “fast type”). “Cut” to copy the screen in ASCII, Unicode or graphics format. Keyboard selectable between normal and game mode. Software keyboard to get around limits of PC keyboards. Brightness, contrast and display colour controls. Batch mode and command line input to automate tasks. Can open files and disk images within .zip archives. Optional emulator extensions provide memory protection and timing to the Z-80. And emulator exit. Bus tracing, disassembling, profiling, memory dumping and other features for reverse engineering and debugging. 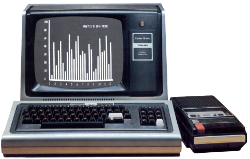 xtrs is a Radio Shack TRS-80 Model I/III/4/4P emulator for Unix and the X Window System. It includes lower case, the real time clock, hi-res graphics, serial port, parallel printer, mouse, cassette, sound and music output (requires OSS), 5″ and 8″ floppy disk drives in single and double density, and even hard disk drives. The emulated floppy and hard disk file formats are compatible with the popular MSDOS-based emulators by Jeff Vavasour and Matthew Reed, and (if you choose a capable enough file format), all features of the original TRS-80 floppy disk controller are emulated. Under Linux, physical floppy disk drives are also supported. Physical cassettes can be read and written too. Windows and Mac OS X support. Text based GUI on Windows and Linux, and in Fullscreen mode on the Macintosh. Disk LED Indicators on screen. Creation of Disk images inside of the program. Saving and loading of disk sets. Saving and loading of emualtor state. Copy and Paste of text to/from host and emulator. TRS-80 Model I, III, and 4/4p emulation. Emulated 5″ and 8″ floppy disk drives. Data Import and Export from Host. Download: Windows or MAC OSX or LINUX Version. SDLTRS builds on XTRS and adds Windows and Mac OS X support, Fullscreen display, Text based GUI on Windows and Linux, and in Fullscreen mode on the Macintosh, Configuration files, Disk LED Indicators on screen, Creation of Disk images inside of the program, Saving and loading of disk sets, Saving and loading of emualtor state, Copy and Paste of text to/from host and emulator, and USB Joystick support. Emulates a Level I TRS-80 Model on the Web (Java).